Prof. Dr. Yusuf Ulcay, Rector of Uludag University, visited Turkish Education Practices and Research Center (ULUTÖMER). Ulcay chatted with foreign students and wished them success during the visit. Rector Yusuf Ulcay, who made a visit to the new director of ULUTÖMER, Assoc. 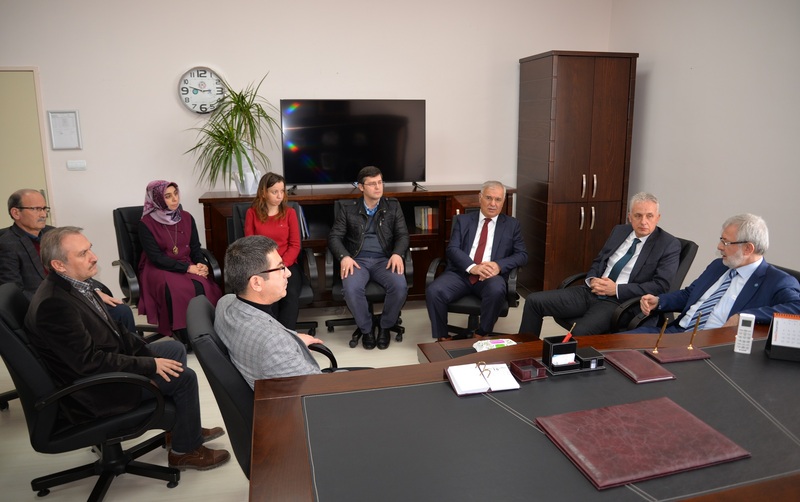 Dr. Süleyman Eroğlu and, his team, said he believed that the center would sign a much more successful and quality work. 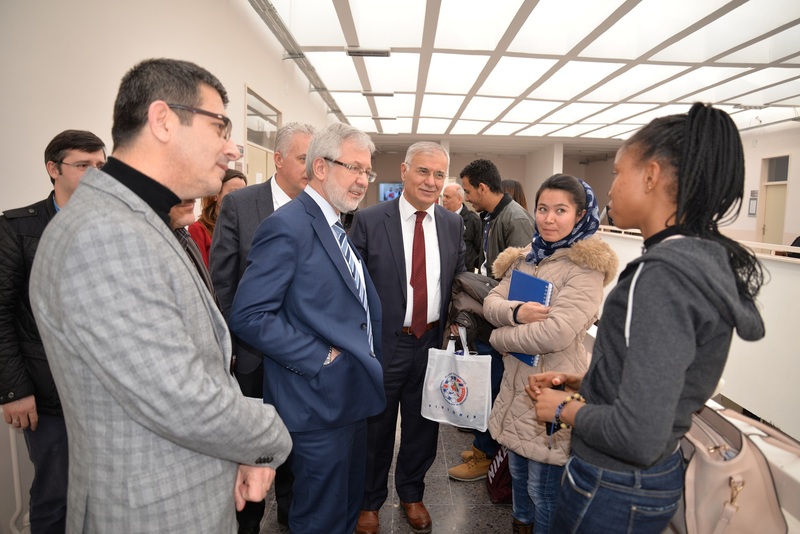 Rector Yusuf Ulcay emphasized that Uludag University is among the first ten universities in terms of the number of students, which is approximately 76 thousand, and said: “Uludag University provides education to 5 thousand foreign students from 124 countries. Three years ago, we had a thousand 900 students. Now there are 5 thousand foreign students. Previously, we were doing foreign student admission examinations with foreigners who speak Turkish. Last year, we held exams in 10 countries and 12 centers in their language. This year we aim to have exams in 20 different countries. We will give students Turkish language education at ULUTÖMER after they take tests in their own language. Students who successfully pass Turkish language education will be able to continue their education at the faculties they have won. " 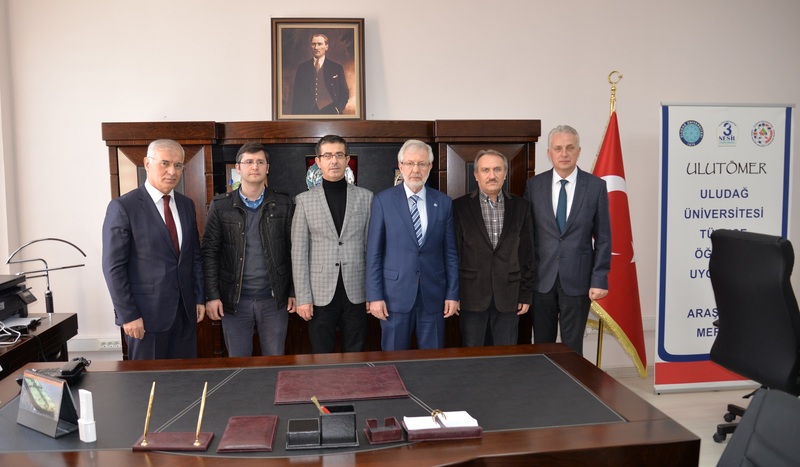 Prof. Dr. Yusuf Ulcay noted that they have rolled up their sleeves to add a building to ULUTÖMER, one of Turkey's most important Turkish education centers, in 2018 and pointed out that they came to an end in the projects they prepared by considering the rapidly increasing number of foreign students. Ulcay said that they will build a special building with modern architecture and a conceptual structure, and that the current place is temporary. 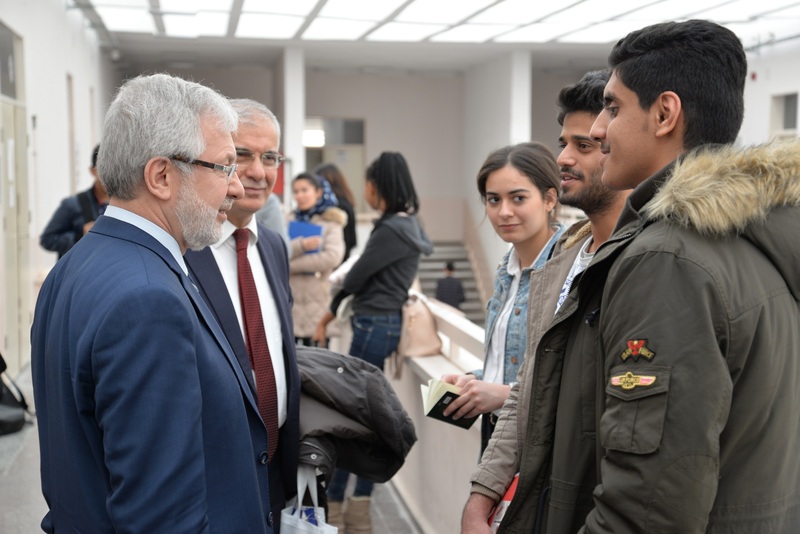 During the visit to ULUTÖMER, Rector Ulcay chatted with students and listened to their wishes and problems. The new director of ULUTÖMER, Assoc. Dr. Süleyman Eroğlu, pointed out that they will work as a team to grow the center in quality and quantity.